This analysis was written by CBSNews.com senior political editor Vaughn Ververs. 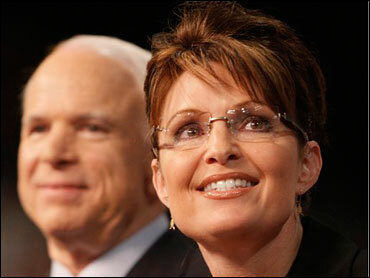 John McCain has taken a huge risk by selecting Alaska Governor Sarah Palin as his vice presidential running mate. But it's a risk he may have had to take if he hopes to stay competitive with Barack Obama through November. After what has to be described as a successful Democratic convention in Denver this week, McCain needed something to shake things up going into his own convention in St. Paul next week. But taking such a dramatic step and plucking an unknown, inexperienced Alaskan as his running mate treads perilously close to Dan Quayle territory. So unexpected is this selection that we may not know how it's been received by voters for weeks. The immediate pushback by some Democrats has been swift and sure, indicating they either smell blood in the water and are going in for the kill or are a little wary of what exactly this means. It's fair to say that almost no one knows how this will all shake out. But the list of pros and cons for McCain's candidacy are a little easier to see. As one of the most popular governors in America, Palin serves as a model for anti-establishment politics. The former Mayor of Wasilla, a smallish town outside of Anchorage, Palin took on her own party on corruption and defeated a sitting Republican governor and former United States Senator on her road to the statehouse. She fits with McCain's maverick image and also provides a shining example of how to run against the party. In introducing her today, McCain made it the very first point to say he was looking for someone to help shakeup Washington. Palin also serves as a very clear reminder to those supporters of Hillary Clinton that we heard so much about over the past week. While the Democratic convention appeared to go a long way in healing the divide within the party, the choice of a woman to be on the Republican Party ticket could woo some. She's a darling of social conservatives, who have been touting her candidacy for weeks. One of the things that have drawn them to her side is her youngest son, who was born with Downs Syndrome. Palin has spoken passionately about her devotion to him and her belief in the value of life. Abortion opponents have used her as a model for their cause. And, she's a compelling figure, an Alaskan who lives the outdoors lifestyle that is a staple of the state. An avid hunter who east Moose-burgers, Palin isn't a dainty society lady; she's a rough and tough Alaskan. Her oldest son serves in the military, giving the Republican ticket a lock on that aspect. But the potential for disaster is not insignificant with this pick. At the top of the list is McCain's age. The day he announced his decision, McCain turned 72 and his health is certain to be a topic in this election. After months spent attacking Barack Obama as unprepared to be Commander In Chief, can they sell Palin as ready to be a heartbeat away from the Oval Office? How well she will perform in the debate against Joe Biden will be a crucial factor likely to determine that. Biden has 35 years in the U.S. Senate and is well versed in a range of issues from foreign policy to education, taxes and health care. Can Palin compete on the specifics Biden will bring to the table? And while Palin herself made an aggressive appeal not only to women, but specifically to Hillary Clinton supporters in her remarks today, there remains the possibility that she could be seen as a "gimmick" pick, selected to fill some need rather than for qualifications. Gender was surely a part of the decision-making process. But more important was that Palin is someone who could really energize the base, something McCain desperately needs. Most importantly, McCain seems to realize what most already understand in their gut - that the landscape of this election is tilted heavily against him as the nominee of an unpopular Republican Party. He appears to be betting that the only way he's going to end up in the White House is as a maverick outsider. In Palin, he's found someone to reinforce that image, regardless of the potential risks involved.